For the first time in recent memory, Colombia’s Supreme Court jailed an elected lawmaker on election fraud claims. Senator-elect Aida Merlano was jailed in “The Good Shepherd” prison in Bogota after prosecutors found evidence of vote-buying, firearms and cash in her campaign office two days after the Conservative Party politician’s election to the senate. Merlano’s request for house arrest as an”insurance measure” was dismissed by the court. Instead, she was sent to a section of the prison reserved for public officials. The senator-elect of the Conservative Party is being investigated for corruption, the use of fake ID cards, and the illegal possession and trafficking of firearms. 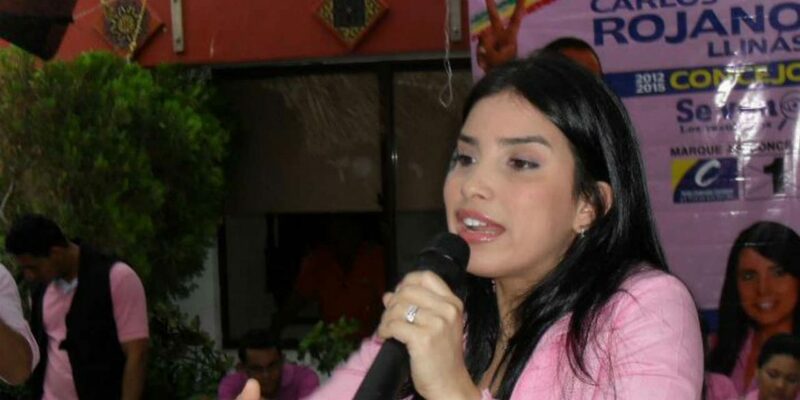 Prosecutors found four firearms, ID cards, and $100,000 in cash during a raid at Merlano’s campaign office in the northern city of Barranquilla. The senator-elect’s sister and four campaign workers were arrested. Merlano was elected to the highest chamber of the Colombian congress with more than 73,000 votes. The Conservative Party suspended her, leaving her current seat in the House of Representatives empty. According to Prosecutor General Nestor Humberto Martinez, she is suspected of having spent more than $2 million on vote-buying. She allegedly paid around $15 per vote and larger sums to social and community leaders. Merlano turned herself in on April 9th, three days after a judge warranted her arrest. The court suspects she also conducted vote-buying fraud when she was elected to her state’s assembly in 2011. Vote-buying is one of the most common forms of election fraud in Colombia.